The Dremel DigiLab 3D45 is the most reliable and easiest-to-use 3D printer for advanced users in higher education and corporations, and an affordable option for hobbyists and makers. With a newly-added heated build plate and robust extruder, you can now use advanced filament types like nylon and eco-ABS. To make things easier, the 3D45 has filament detection via RFID that enables the printer to automatically recognize and change settings for optimized printing, and leaves out all of the guess work when Dremel RFID enabled filament spools are used. The full enclosure and advanced motion control minimizes noise. See why PC Magazine named the Dremel 3D45 an Editor's Choice as one of the "best 3D printers ever reviewed." ZMorph 2.0 SX Full Set ($3,890) DUAL Extrusion! 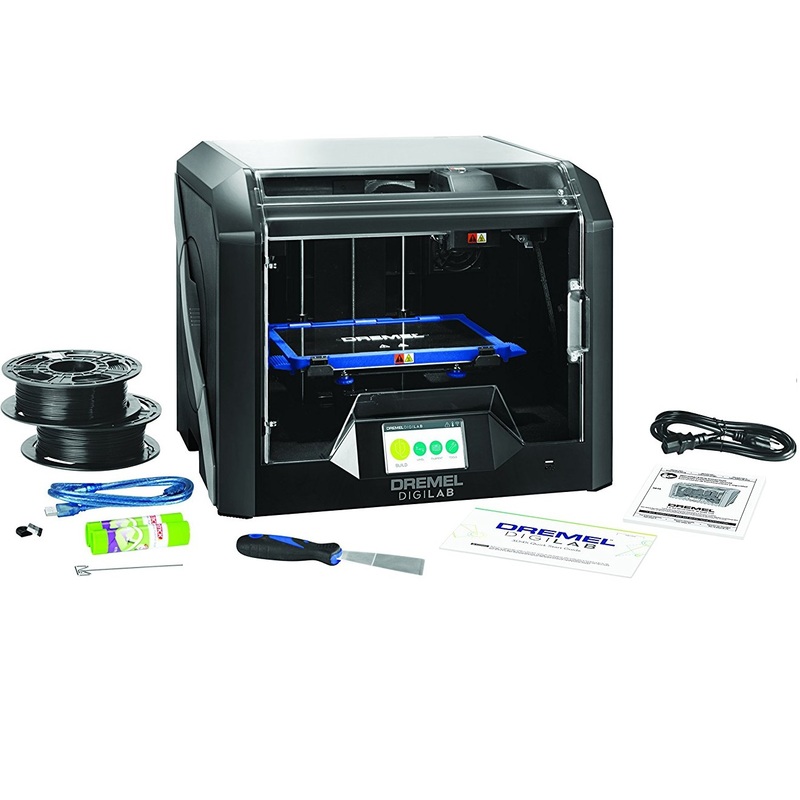 MakerGear M3-I ($3,299) DUAL Extrusion! Flux Delta + ($1,199) DUAL Extrusion! Materials ABS, PLA, PET, Nylon, Flexibles, Wood, Metals, and more. ABS, ASA, HIPS, Nylon, PET-G, PET-T, PLA, polycarbonate, polypropylene, PVA, TPE, TPU, metal composites, wood composites, carbon fiber composites, and more. ABS, PLA, PET, Nylon, Flexibles, Wood, Metals, PVA, HIBS and more. ABS, PLA, PETg, Flexible, etc ABS, PLA, PET, Nylon, Flexibles, Wood, Metals, and more. Dremel filament only - PLA, Eco ABS, Nylon, PLA, PET, Nylon, Flexibles, Wood, Metals, and more. PLA, Metals ABS, PLA ABS, PLA, PET, Nylon, Flexibles, Wood, Metals, PVA, HIBS and more.